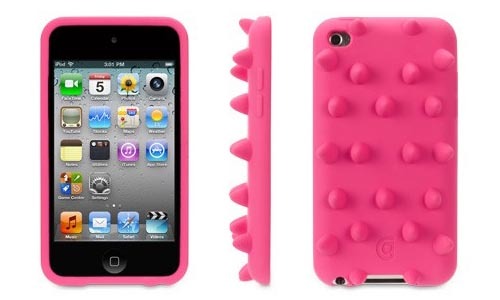 Griffin recently released several interesting protective cases for iPod touch 4G, Funky Touch is one of them. If you also like this kind of cute design, let’s go on checking the iPod touch 4G case. 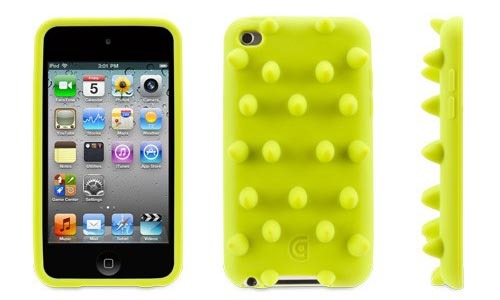 Funky Touch is a vibrant silicone protective case designed for iPod touch 4G. As we can see from the images, the iPod touch case features beautiful pure color, and a bumpy back, plus the durable silicone construction in order to effectively protect the iPod touch 4G from bumps and scratches. And those small knobs also provide you a comfortable touch just like massaging your hand. Apart from that, the custom cutouts allow you access all the buttons and functions of your iPod touch. 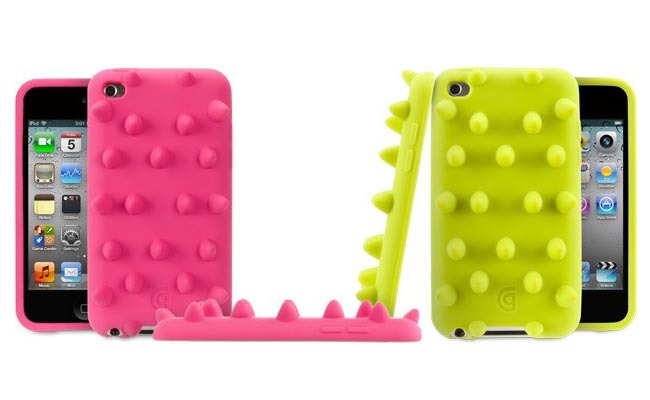 Griffin Funky Touch is available in two colors, including green and pink, each protective case is priced at $19.99 USD. If you’re interested, jump to Griffin official site for more details. Additionally, if you need other options, you might like to check Freak Show iPod touch case and more via “iPod touch case” tag.